Oxford Brookes University has been the host institution of the Association for Learning Technology (ALT) since October 1999. From 1 February 2018, we will be entering a new phase of the relationship between the two institutions as the Association becomes a fully virtual, distributed organisation and employs staff directly. Over the last decade the hosting relationship has not only supported operations and staff but led to joint work on Learning Technology projects and initiatives with the University being an active and engaged Member Organisation of ALT. The University will continue its involvement with ALT as a Member Organisation with a view to future strategic exchange and collaboration. 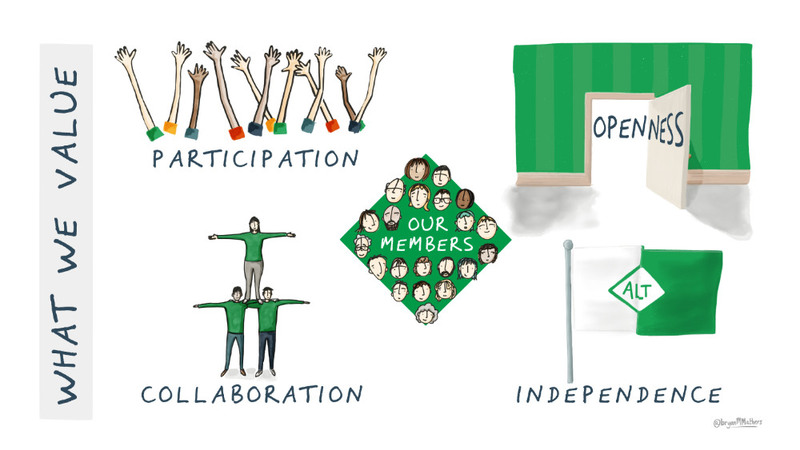 This new phase in ALT’s history will ensure that the strategic aims and values of the Association are underpinned by an effective, agile base of operations providing more direct support for Members across the UK. Members will be pleased to hear that this transition should have minimal impact on membership services. For any enquiries, please contact us .